Dubai has come up as the 10th best holiday destination in the world and the number one in the Middle East and Africa. Surpassing some of the most popular global tourism hotspots, Dubai has come up as the 10th best holiday destination in the world and the number one in the Middle East and Africa. The latest annual travel rankings by the US News & World report, ‘the world’s best places to visit’, which highlights 30 spectacular destinations across the globe, has picked Rome, an ancient city with historic sites at every turn, as the number one. Rome was followed by Sydney, Porto, London, Paris, New York, Florence, Prague, Barcelona and Dubai in the top 10. 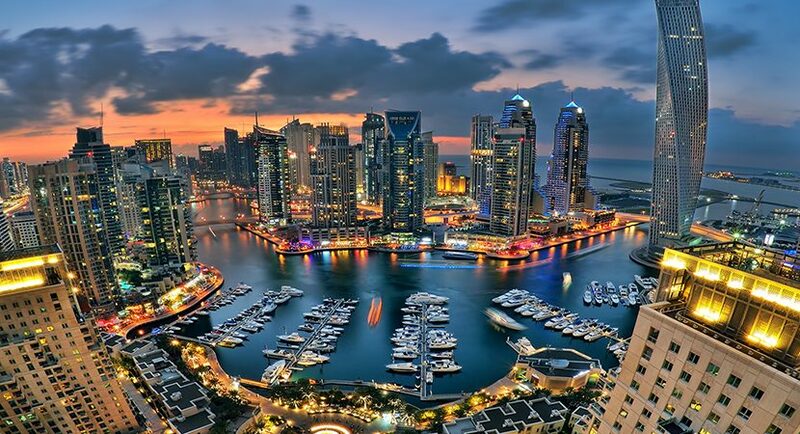 Dubai is ahead of other hotspots like Santorini, Honolulu, Vancouver, Phuket and Machu Picchu. “Dubai is a city of superlatives, home to the world’s tallest tower, the world’s largest shopping mall, the world’s largest man-made marina… but on a smaller scale, this emirate is still tied to its days as a modest port town,” the report said. The US News & World Report was based on independent user opinions and expert analysis on tourist spots, including parks, resorts and cities that are frequented by travel and adventure junkies from around the world. “As Dubai continues to evolve and expand the breadth and depth of its tourism proposition, we expect to amplify the appeal of our city as the top consideration for not only first-time but also repeat business and leisure travellers,” said Helal Saeed Almarri, director-general, Dubai Tourism. While Abu Dhabi is not in the top 30 global list, it ranks 7th most sought-after tourist destination in the Middle East and Africa. The report said traditional wooden abras float past motorboats on Dubai Creek, the natural sands of Jumeirah Beach flank the carefully sculpted Palm Islands, and the bustling Gold and Spice Souks thrive amid the larger-than-life Dubai Mall. “Despite constantly looking to the future, this city isn’t quick to let go of its past. It’s this dynamic that not only put Dubai on the tourist map but will also keep it there,” it said. “Dubai and Las Vegas have a lot in common. Both cities share a love for the fantastical, with skylines that shine like beacons against barren desert backdrops. People from all over the world flock to these shimmering oases. But as a vacation spot, Dubai easily trumps ol’ Sin City thanks to its gorgeous cream-coloured Gulf shoreline, international culinary scene and larger-than-life attractions,” said US News & World Report, publisher of Best Hotels, Best Cruise Lines and Best Travel Rewards Programmes. Among Dubai’s top 20 source markets for inbound tourism, while India, Saudi Arabia and the UK, accounted collectively for 30 per cent of total first quarter visitation, China and Russia continued to top the growth trajectory charts with unparalleled 64 per cent and 106 per cent increases over the same 2016 period. At the recent Arabian Travel Market, Dubai Tourism released finding that show a massive 98 per cent of international respondents across the cross-section of nationalities rating their Dubai travel experience in 2015 at a 7 or higher, with over 61 per cent giving a 9+ score. “With continuing development of specialised facilities, sophisticated infrastructure and content through 2016 spearheaded by the opening of three new theme parks, a robust calendar of events, festivals and concerts, as well as enhanced beachfront and coastline regeneration initiatives, Dubai ultimately expects to make every visitor to the emirate a life-long ambassador of the destination,” said Issam Kazim, chief executive, Dubai Corporation for Tourism & Commerce Marketing.